Nezavisimaya gazeta’s Vladimir Mukhin recently pointed out that Russian soldiers are still busy performing ‘noncore’ tasks [i.e. essential housekeeping chores unrelated to combat training]. And this is happening despite frequent Defense Ministry trumpeting about success in eliminating ‘nonmilitary’ work from the troops’ daily regimen. Helping out during the recent snow and ice storms is just the most recent example. Mukhin says the army was pressed into this municipal task in Khabarovsk, Nizhniy Tagil, and Chelyabinsk. Suburban Moscow air defenders in the OSK VKO fueled mobile power generators and operated field kitchens during the bad weather. 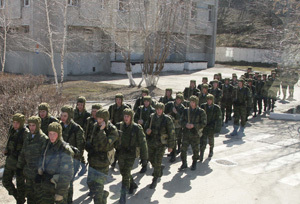 Reservists were called up to cope with heavy snow in Tatarstan. Military units were also pressed into service against forest fires this summer. None of this is particularly surprising. Many governments would turn to the army in similar circumstances. But it shows that Russia’s local and regional governments lack the depth of resources to provide the services customarily expected at those levels of administration in most countries. And, of course, they don’t have part-time soldiers in a national guard structure that can be mobilized by the governor in an emergency. More interesting, however — to return to Mukhin’s article — a Kremlin source told his paper that an unpublicized order had gone out from the PA to the Defense Ministry on the eve of the New Year’s holidays saying that troops should prepare for “active participation” in resolving any kind of “emergency situations” (ChS) arising in the country. And the order implied both natural and “social” [i.e. man-made] emergencies. An NG source in the Defense Ministry said VDV unit and formations throughout Russia were in “full” combat readiness, and at “hour X” were ready to come to the assistance of police and the MVD’s Internal Troops (VV) in the event of disturbances in the capital or other major cities. The VDV spokesman felt compelled to respond right away to this story. He told RIA Novosti the VDV is not in “full,” but rather “permanent” combat readiness for any missions assigned by its command. And he noted that VDV sub-units are not specially trained for the mission of securing law and order. But he didn’t say they couldn’t or wouldn’t give it a try. RIA Novosti reminded readers of mid-December riots in Moscow, St. Petersburg, and Rostov-na-Donu. About 5,000 took part in an unsanctioned nationalist rally on Manezh Square adjacent to the Kremlin to protest the reported murder of an ethnic Russian by a man from Kabardino-Balkaria. The use of the VDV for an internal contingency is unlikely, but certainly conceivable. It would probably be a last-resort measure. And its effect on any situation might be unpredictable. In the right circumstances, the VDV might handle themselves professionally. In the wrong circumstances, they might be like oil on a fire. 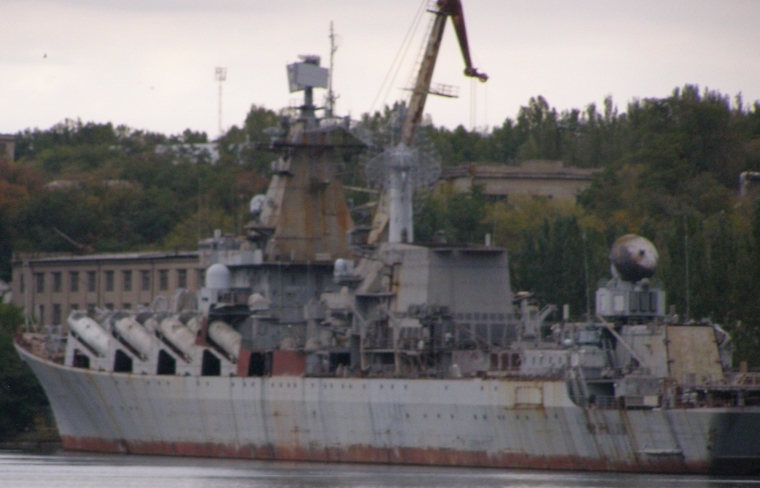 The Russian Navy’s possible return to Vietnam became the latest military rumor floated in the media last week. If it happens, it won’t have exactly the same purposes as in 1979, and it probably won’t be on the same scale. But it will be part and parcel of the issue of being, or wanting to remain, a naval power. Moscow might have to ask itself if it still is one, or will be one in the future. On Wednesday, former Navy Main Staff Chief, Admiral Viktor Kravchenko told Interfaks the Navy is proposing to reestablish a material-technical support base (PMTO or ПМТО) at Cam Ranh. The base would support ships on antipiracy missions in the Pacific and Indian Oceans, according to the source. Izvestiya says, Moscow doesn’t intend to return to a Cold War-style global military confrontation with Washington – it has not the forces, means, or desire for it – but the ‘Cam Ranh initiative’ shows that a gradual reanimation of specific military bases abroad could happen. 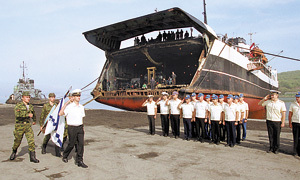 According to Newsru.com and Vremya novostey, in 1979, Moscow and Hanoi signed a 25-year agreement by which the Soviet Pacific Fleet’s 17th Squadron gained access to Cam Ranh. Vietnam allowed the Soviet Navy to base 10 surface ships, 8 submarines with a submarine support ship, and 6 auxiliaries at the port. Later, the 922nd PMTO was established at the Vietnamese port. The Soviets had POL storage, an ASW and missile armaments base and technical service unit, a Naval Infantry sub-unit, and an air regiment at Cam Ranh. The base was initially free, but Hanoi asked for $300 million in rent in 1998. In 2001, Moscow decided not to extend its agreement with Vietnam, and the last Russian elements departed Cam Ranh in mid-2002. The decisionmaking around the Cam Ranh withdrawal (likewise for Lourdes, Cuba) is anything but clear-cut. But then President Putin probably made the decision, reportedly against the advice of many senior uniformed officers, in an effort to save money for the military at home, and to make nice with Washington. Former high-ranking General Staff officer Leonid Ivashov claims the $300 million rent, at least, shouldn’t have been an issue since it could have been written off against Vietnam’s $10 billion debt to Moscow. Prime Minister Putin’s December 2009 Hanoi visit and major arms deal, including six proyekt 636 diesel submarines, with Vietnam may have started movement on a return to Cam Ranh. Defense Minister Serdyukov went to Hanoi in February and told Rossiyskaya gazeta the Vietnamese were very interested in constructing a Navy repair plant and Russian help with naval logistics. However, Serdyukov claimed the Vietnamese didn’t propose anything about Cam Ranh. But NG’s Vladimir Mukhin speculates a deal for a renewed Russian presence at the base might be inked during President Medvedev’s late October trip to Vietnam. It’s worth recalling Khramchikhin may view Vietnam through a slightly Sinophobic prism. Vladimir Mukhin’s report on General Staff Chief Makarov denouncing contract service has not received much attention. See Monday’s Nezavisimaya gazeta. Mukhin concludes the military leadership has decided the longstanding effort to transfer some troops to a professional basis and reduce the length of conscript service has been a total fiasco. And contractees will be reduced, and conscripts increased. 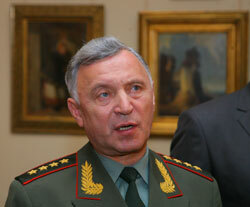 Mukhin says, with this, Makarov touched the very painful issue of increasing conscript service back to 1.5 years. He says such a plan is allegedly with the country’s leadership right now [this will really add to Medvedev’s popularity, won’t it?]. Mukhin cites former Black Sea Fleet Commander, Admiral Komoyedov, now a KPRF Duma deputy and member of the Duma’s Defense Committee, who says the issue of raising the draft term is under discussion among generals as well as among legislators. Mukhin says all this is perfectly logical to military leaders. A longer draft term will allow conscripts to be better trained and more knowledgeable and to compensate for the absence of professionals. But this approach in no way connects with the political statements of the country’s leadership which assures society there won’t be any increase in conscript service time. Valentina Melnikova, Secretary of the Union of Committees of Soldiers’ Mothers (СКСМ) of Russia, told Mukhin she still thinks a complete transition to contract service could be made. She and Shvedkov are right of course. Theoretically, Russia could shift to all professional enlisted, but it would take political will lacking heretofore. After what Makarov and Postnikov said (and knowing the generalitet’s predilections anyway), an effort to reinforce a badly, badly sagging contract service effort seems very unlikely. And it would seem Makarov and his protege would have to resign too.